I’m a driver trainer by day, but in my spare time, I’m passionate about showing people how satisfying and delicious a plant-based diet can be. Over the last few years, I’ve been on a journey to give up meat, and now all animal products from my diet. Together with my husband Stuart, we’ve been training ourselves how to eat and sustain a nourishing and healthy vegan lifestyle. It turns out that being vegan is way easier and more satisfying than we had ever imagined it would be. And we have never felt better! It’s been so exciting to discover the variety of plant-based food I’ve been able to find and create. Meal preparation has turned into full-blown experimentation! I want to share the thrill of tasting something so amazing with others so you too can be inspired to eat more plants―wherever you are on your journey. 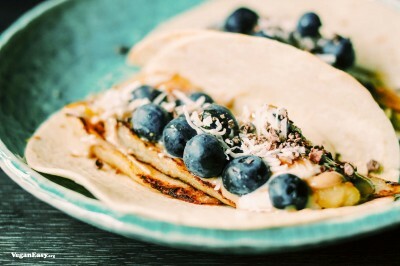 If you’re already vegan, I hope you’ll find new and exciting ways to eat your favourite plants with my simple and creative recipes. Stu (the taste-tester and tech-wizard behind Silvobeat) just launched our website this year and we are working hard to create a beautiful collection of recipes for you to try at home. 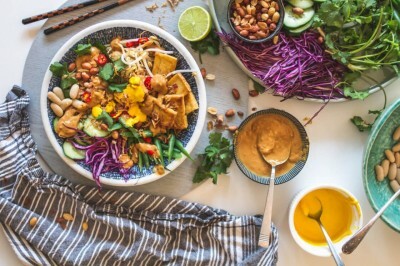 A flavoursome bowl of fresh, crisp vegetables and tofu, drizzled with a spicy and nutty peanut dressing. Subtly spiced Indian curry, brightened with zesty lemon and served with almond dukkah. 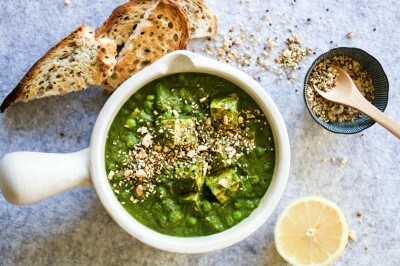 The perfect dish to dunk your bread in and mop up all that green glory. Forget everything you know about making gnocchi - this is easy! Unlike traditional potato gnocchi, there’s no need to pre-cook anything for tofu gnocchi. 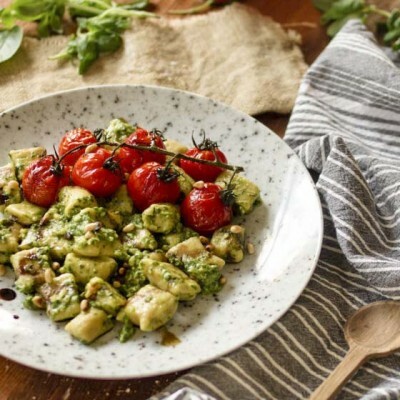 All you need to do is toss the raw ingredients together in a bowl, mash them up, roll them out, chop them up, and in next to no time you’ll have soft little pillows of delicious and healthy tofu gnocchi. 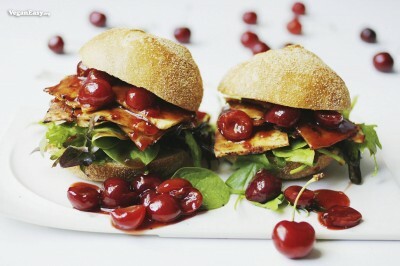 Golden brown baked tofu coated with miso paste, smothered in delicious cherry sauce to add a gorgeous sweet yet tart flavour! 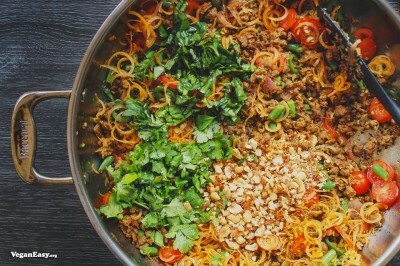 Do you have a craving for some soothing zesty comfort food? 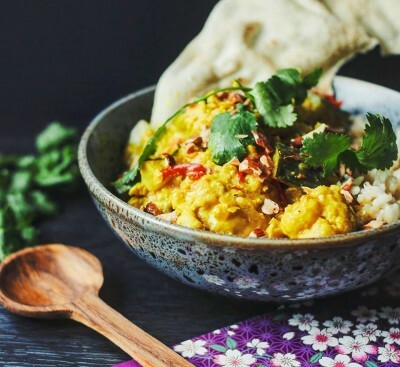 Then, this spiced lemongrass coconut curry with cauliflower, zucchini, and almonds is what you need! The noodles are paired with a broth that has all the delicate and delightful flavours of Japan. 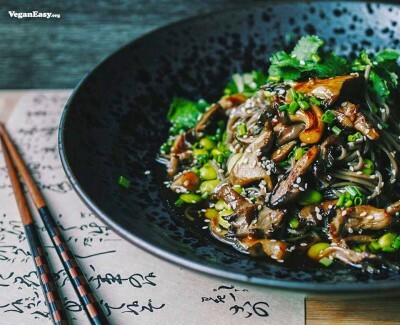 The seared oyster mushrooms and edamame add a meaty texture and rich taste while providing a nutritious protein and vitamin boost. If you make extra, you’ll be treated to a sensational lunch the next day once all the flavours have fused together. 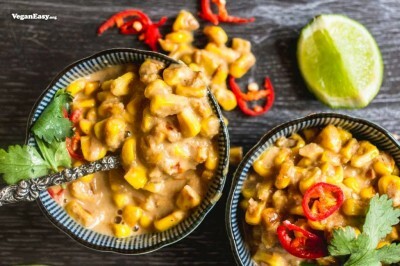 Juicy chunks of fried corn in a full-flavoured creamy and ‘cheesy’ sauce made with onions, garlic, chilli, and lime. The addition of miso adds a tantalising depth of flavour, while the nutritional yeast makes it so cheesy and delicious. You might want to double this recipe!